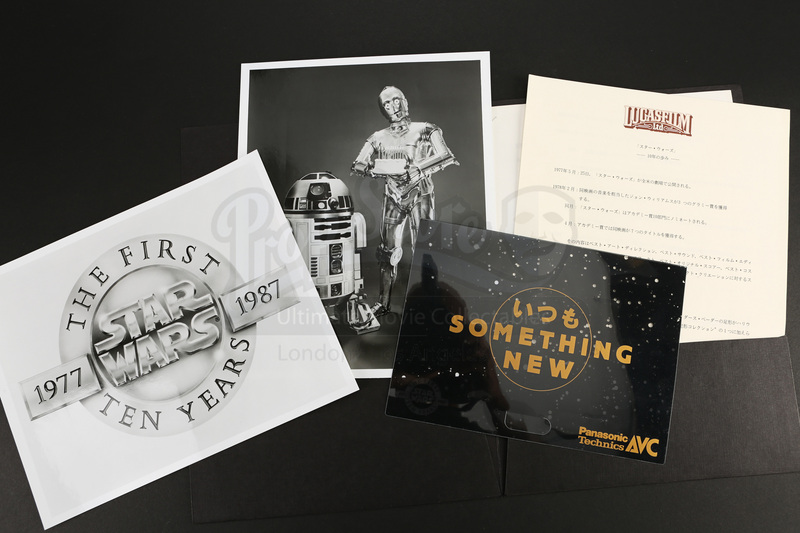 A Japanese “First 10 Years” press kit made to advertise events surrounding the ten year anniversary of the original Star Wars Trilogy. 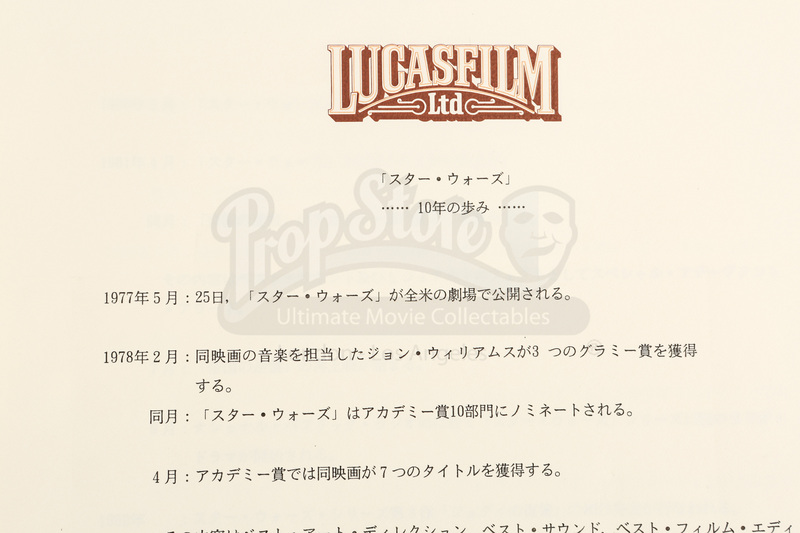 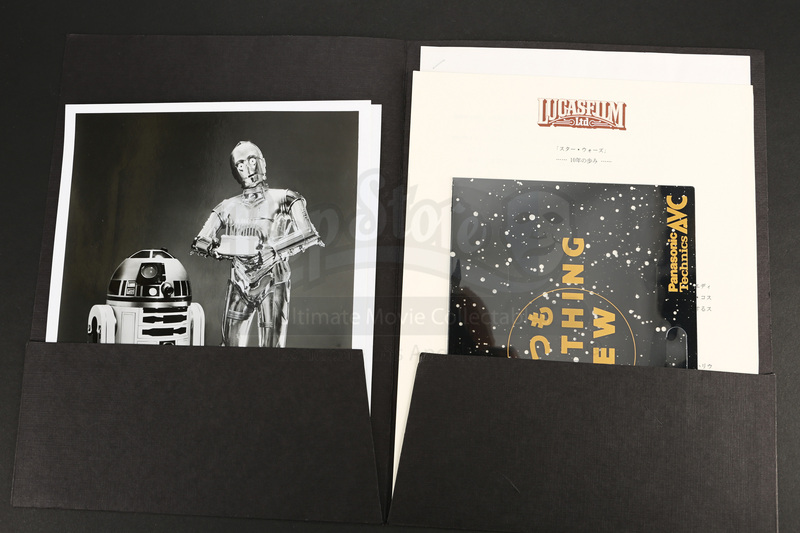 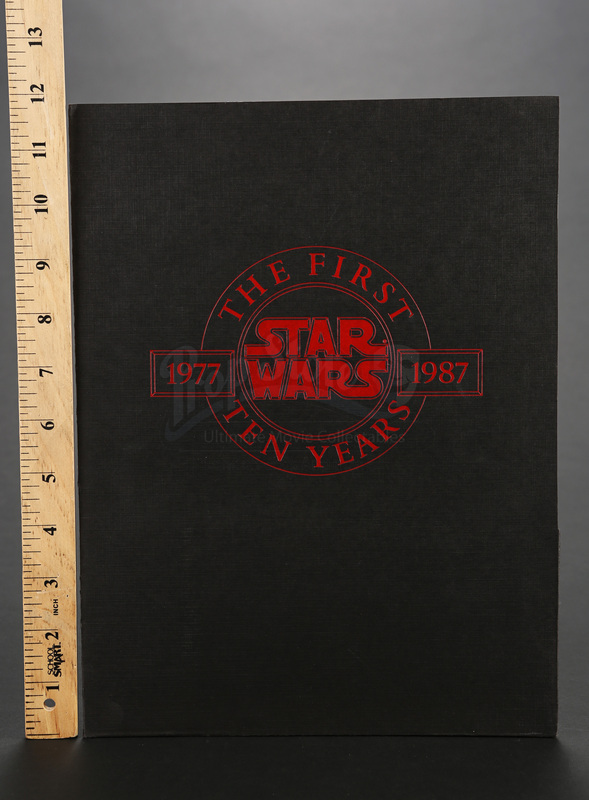 These black folders contain multiple pages of information and photos regarding promotion for Star Wars. 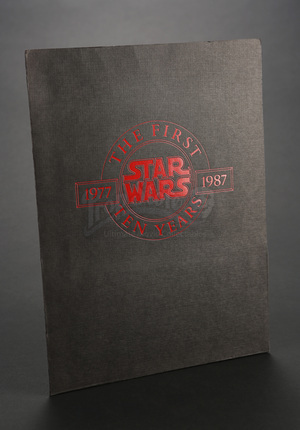 Showing minimal wear, these press kits are in overall good condition.